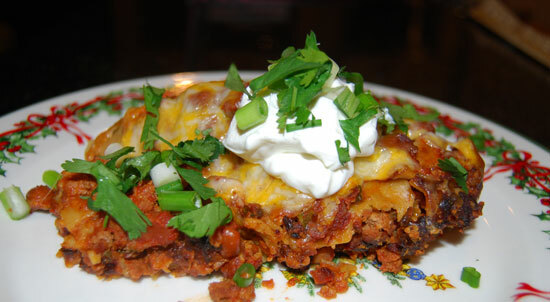 Remember, you can get a printable version of this and my other recipes at www.susanmallery.com/recipes.php! 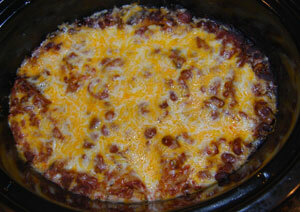 Slow cooker recipes are terrific on cold winter days. As the food cooks, the scent drifts through the house, and you feel like you’re being productive even long after the work is done. When evening rolls around, it feels like magic to go into the kitchen to a fully cooked meal. Putting a meal in the slow cooker is like giving a gift to the “you” of later that day. Yes, okay… but I still made it, and it was so good that he was speaking Spanish by the end of the meal. Brown the turkey in oil, then add the onions through beans. Stir well and set aside. Combine the cottage cheese with half of the Mexican cheese and all of the spinach. The rest of the meat mixture. Cook on low for about 5-6 hours, until the noodles are soft. 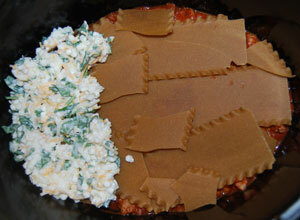 Sprinkle remaining cheese on top, cover, and allow to melt. If desired, serve with sour cream, chopped green onions, and chopped cilantro. Oh, I am SO making this! Thank you, thank you! We live by the slow cooker, and this looks awesome! And it's DIFFERENT! Yum! Great, Summer! I'm so glad you like it. I was going for "different" because so many slow cooker recipes seem like the same old, same old to me. I hope you love it as much as we did! Susan, this was a fabulous recipe!! I had no idea you could fix lasagna in a slow cooker... I made it on Monday night and the guys loved it. Am now sending a link to your blog to my friends who must try it, too ;).